New Zealand will reduce the duty-free allowance for cigarettes from the current 200 cigarettes to just 50. In an attempt to make New Zealand smoke-free by 2025, the government will lower the duty-free allowance for international travellers visiting New Zealand, from the current 200 cigarettes to 50 cigarettes. The new limit of 50 cigarettes will apply from 1 November 2014. If the New Zealand Associate Minister of Health Tariana Turia had her way, she would have removed the duty-free allowance completely. Smoking causes up to 5,000 premature deaths in New Zealand every year. “It is an anomaly that on the one hand we’re increasing the price, and on the other hand we’re offering a duty-free allowance on 200 cigarettes to every adult arriving at our borders,” says Associate Minister of Health Tariana Turia. The price differential between retail tobacco and duty-free tobacco will continue to grow with two further 10 per cent increases in the rate of excise scheduled over the next two years, says the minister. “I considered recommending that the duty-free allowance be removed entirely, and although that would be consistent with the Government’s goal of making New Zealand effectively smoke-free from 2025, it would not be practical. “Completely removing the duty-free concessions would mean that smokers, who might have a packet or two of cigarettes on them when going through Customs, had to either dump them or declare them and pay duty. If they did neither, they would risk prosecution and seizure of the goods. Along with the reduction in the duty-free concession, tobacco will be removed from the gift concession that currently allows gifts sent from overseas to be free of duty and GST in New Zealand, providing they exceed no more than $110 in total value. Budget 2014 will include additional funding for New Zealand Customs Service of $2.7 million in 2014/15, and $420,000 in the following years to assist with implementation of the new rules. The duty-free tobacco allowance for passengers arriving in New Zealand will fall to 50 cigarettes, or 50 grams of cigars or tobacco products – similar to Australia. Currently passengers arriving in New Zealand can bring up to 200 cigarettes, 250 grams of tobacco, 50 cigars (or a mixture of all three weighing up to 250 grams) into New Zealand free of duty and GST. Tobacco products sent to New Zealand as a gift from abroad will no longer be eligible for the $110 duty-free gift allowance. This means all gifts of tobacco products sent to New Zealand will now be subject to excise duty and GST. What if you are carrying more than the allowance? As under the current rules, passengers carrying more than the new limit will need to declare this, and pay the relevant duty and tax on the excess amounts, or forfeit these excess amounts at the Customs controlled area. If passengers fail to declare dutiable goods, the goods will be confiscated and passengers may be prosecuted. The changes to the traveller’s duty-free tobacco allowance will not affect outgoing international travel. Outgoing passengers will still be able to purchase duty-free tobacco from New Zealand duty-free stores in accordance with the overall limits specified by their destination country. 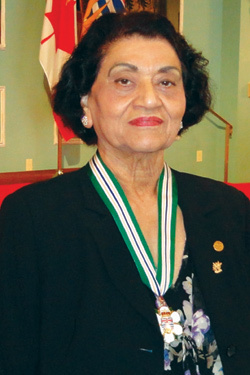 Baljit Sethi has made significant contributions to racial harmony in Canada. When Baljit Sethi left India for a better life in Canada in 1972, the term ‘multiculturalism’ wasn’t mainstream. Finding her feet in a foreign land wasn’t easy. Not only faced with a language barrier, but also cultural limitations, Baljit decided to help other immigrants, and find herself in the process. Baljit understood that newcomers could not become part of their new communities without multicultural programs and the active promotion of racial harmony. She founded the Immigrant and Multicultural Services Society of Prince George, which provides settlement services to communities in Northern British Columbia. She worked to encourage interaction between immigrants and the population of Prince George, the benefit of which was felt across northern British Columbia. Her tireless work over 40 years had given Canada the programs that continue to be used across the country to promote multiculturalism and equality. A strong advocate for immigrant women, her contributions have been recognized with the Order of British Columbia award. She is one the many Asians that have shaped the history of Asians in Canada. To commemorate Asians’ contribution, Canada is celebrating Asian Heritage Month throughout the country. Canadians get an opportunity to understand and celebrate the contributions of Canadians of Asian heritage. The concept is not new to North America. 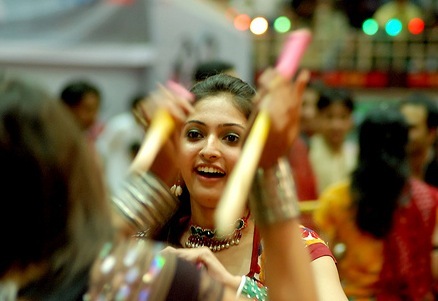 Asian Heritage Month has been celebrated in the United States since 1979. In the last few years, Asians in Canada have started to celebrate their culture in May every year. It was in 2001 that Canada officially adopted the motion proposed by Senator Vivienne Poy to designate May as Asian Heritage Month. Two Indians are among three people charged by the Canada Border Services Agency (CBSA) for the unauthorized employment of foreign nationals. Following a three-month investigation, the CBSA’s Criminal Investigation Division charged Brampton-based 31-year old Kumar Gautam and 29-year old Nancy Gautam of unauthorized employment of foreign nationals. It is alleged that the accused employed a number of foreign nationals who were not authorized to work in Canada. The individuals and companies charged are: Kumar Gautam, Nancy Gautam, Shane Burrows, Logan Moving & Storage Inc., Shane’s Moving & Storage Inc. and EBS Transport. “The CBSA is committed to supporting the employment of those authorized to work here in Canada and ensuring that employers abide by our laws.” says Goran Vragovic, Regional Director General of CBSA, Greater Toronto Area Region. Good news for job hunters and those seeking a change of job. 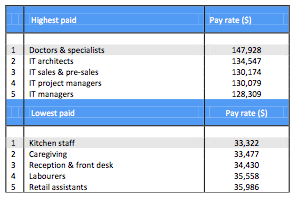 The number of job listings on the Trade Me Jobs site has increased by 21% year-on-year. The website had 50,000 roles listed in the first quarter of 2014. The growth in jobs is in all major locations in New Zealand. Auckland, Wellington and Canterbury are seeing positive growth, says Peter Osborne, head of Trade Me Jobs. “With more roles being advertised, Kiwis hunting that dream job are looking well-placed to consider their next career move. Trade Me analysis is in line with similar report from Westpac McDermott Miller (PDF file) which found that employment confidence is at an all-time high since the recession. 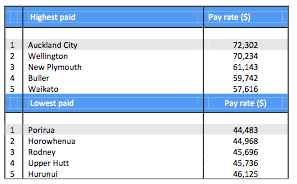 For the first time, average salary in Auckland is higher than Wellington. In fact, those working in central Auckland could expect the highest average pay of the country, taking home an average annual salary of $72,302. This was ahead of previous leader central Wellington ($70,234), and New Plymouth (61,143). Canterbury job listings were up 24% on the same time last year, with Christchurch city’s available roles also ticking up 24%. “It’s been a long process, but the rebuilding efforts in the area are still the primary motivators for activity in the employment market,” says Peter. 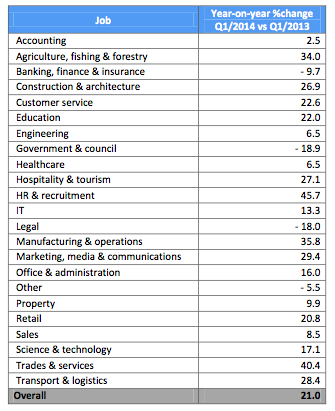 Sectors seeing increased listings this quarter when compared to the same period last year included IT sales (up 166%), journalism (up 156%) and retail department manager roles (up 131%). The number of roles advertised in the Taranaki region also lifted significantly, up 16% on a year ago. “As mortgage rates rise, so too does the desire for a better pay check at the end of the week. With perceptions of job opportunities markedly improving, and recent signs that firms are looking to step up their hiring efforts, it’s becoming a job hunter’s market. Following strong reaction from Auckland’s diverse communities, Auckland Council has withdrawn two research surveys perceived as encouraging racism. 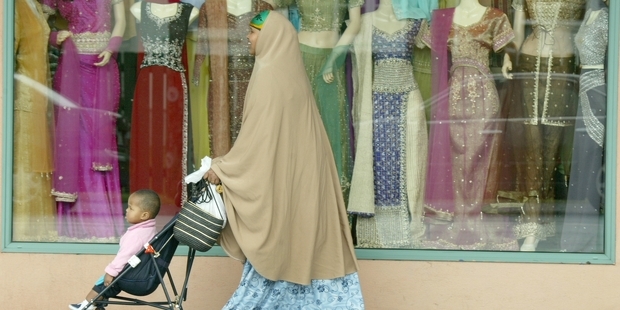 The council had sent the surveys to 20,000 households in Northcote and Balmoral – two of Auckland’s most culturally diverse communities. People were asked how they felt, from “very cold” to “very warm”, towards ethnic groups including Pakeha, Chinese, Indian, Korean, and “other Asian” people, says a report in The Aucklander newspaper. The surveys, which cost $18,000, asked locals to say if their interactions with the ethnic groups were favourable or unfavourable; whether immigrants contributed to the economy; and if it was a good idea to have Asian businesses grouped together. 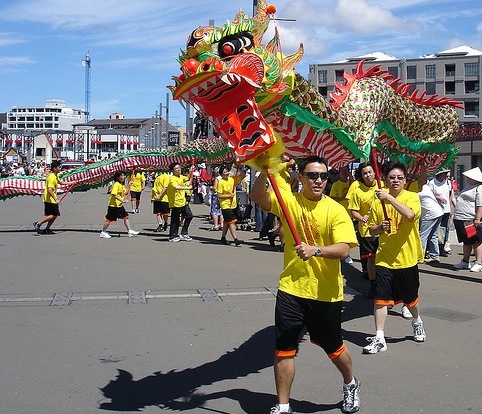 Auckland is home to 150 ethnicities as per the last Census. Some neighbourhoods have significantly higher Asian population. Balmoral and Northcote are two such neighbourhoods. As many as 40% people in Mount Roskill are Asians. This number is 21% in Northcote. At a national level, New Zealand is predominantly an European country (74%), with Asians accounting for only 12% of the total population. Defending the survey, the council says the intention of the surveys, was to enable an understanding of how interactions between people from different ethnic and cultural groups in a commercial context, influence wider social cohesion. While the council has withdrawn the survey, it believes that the research was necessary. 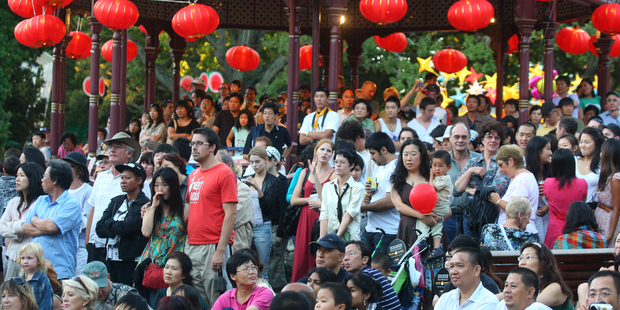 “Research on Auckland’s ethnic diversity and how it relates to precincts and local economic development is an important part of making Auckland the world’s most liveable city, says Harvey Brookes, Acting Chief Planning Officer, for the council. “However, despite the council’s research ethics approval processes, we understand that at least one question in this survey may have caused offence to some people. “Although this question was based on similar questions asked in national and international research in this area, we acknowledge that the question could be perceived as legitimising discrimination. The council will review the survey design and consider issuing a re-designed survey at a later date. Auckland Council wants to understand these demographic changes across Auckland’s communities and neighbourhoods, and explore the social and economic effects and implications of those changes. 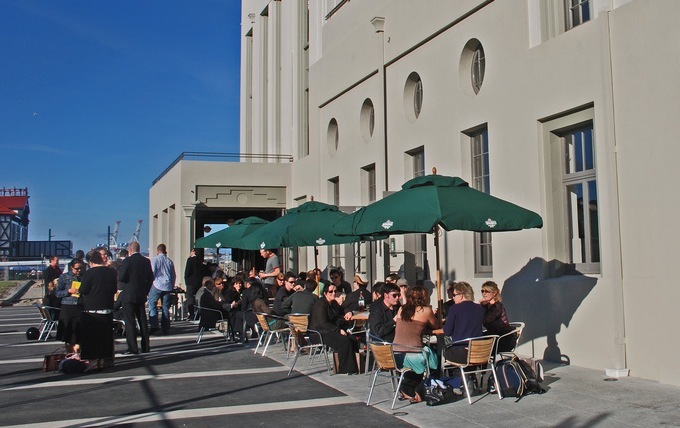 The main objective of this type of research is to support Auckland Council’s work in local economic and community development by exploring the effects of change in the Dominion Road area and in Northcote. The New Zealand Qualifications Authority (NZQA) is marking the new era in the education sector of the country with the trial of its first online tests. NZQA will trial NCEA level one maths test online at 20 schools in September with the help of an outsourced company – Education Perfect. This is the common assessment administered at the end-of-year NCEA exam season. 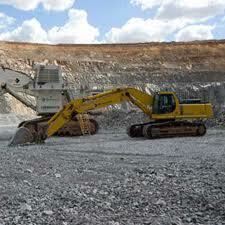 However, there are concerns about the use of a contractor for conducting the test. The news of the online trial was first released on social media by the contractor, raising concerns over the loss of control in the crucial education sector. President of the Post Primary Teachers Association Angela Roberts has already expressed her reservations about NZQA’s use of the private sector to deliver school exams, in a radio interview. New Zealand Labour Party’s Immigration spokesperson Rajen Prasad has declared his retirement from active politics as he says he is not seeking re-nomination for another term in Parliament at the next election scheduled for later this year. “I have approached my professional and public life over the last 20 years, in the spirit of moving on to new challenges once I had made my parliamentary contribution.” says Dr Prasad – a former Associate Professor in Social Policy and Social Work from Massey University. “My sixth year as a parliamentarian has also been a time to reflect on this role and consider other challenges I might accept. “I have made this decision not to remain in Parliament, together with my family and friends and have informed the Party leader. 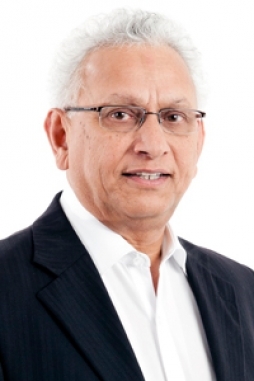 “I have been enormously privileged to have been given an opportunity to represent ethnic communities in general and the Indian community in particular in Parliament and in the Labour caucus. This has happened at a time of enormous ethnic diversification in New Zealand. Dr Prasad had earlier served as the Race Relations Conciliator, Human Rights Commissioner and a Member of the Residence Review Board. “My experience from my life and my background in social policy and the front line social services has been critical in framing our Immigration and Ethnic Affairs policies for the next election. New Zealand Parliament will miss him as a man of “integrity, intelligence and insight”, says fellow Labour list candidate Sunny Kaushal. “He is a man who just naturally radiated charm, warmth and honour. Of Fijian-Indian descent, Dr Prasad is 11th in a family of 14 children. He has two married children and lives with his wife in Auckland. He has lived and worked in West Auckland, Porirua and South Auckland. New Zealand has launched SPARX – a clinically tested self-help tool developed especially for young New Zealanders. The online game-style tool developed by Auckland University will help young people develop skills to deal with feeling down, depressed or stressed. An initiative of the Prime Minister’s Youth Mental Health Project, SPARX is a welcome tool in a country with 20% depressed youth. 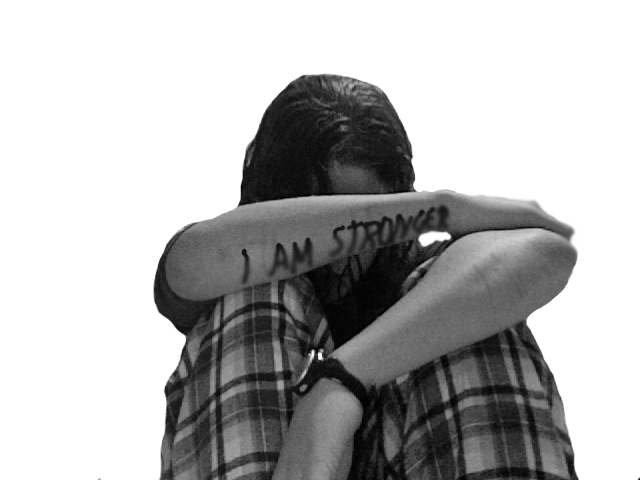 “We know mental health is a big issue for teenagers with around one in five young people experiencing some form of problem during adolescence,” says Prime Minister John Key. “It’s important that they can get help when they need it,” says John. SPARX is designed to fill a treatment gap with young people who may not currently be seeking help. Users can access, register and start using SPARX independently and anonymously in their own time – making help available to more young people around New Zealand. As an e-therapy SPARX has been widely tested with young people in New Zealand and has been found to be an effective treatment for mild to moderate depression. A study in the British Medical Journal in 2012 found use of SPARX resulted in a ‘clinically significant’ reduction in depression, anxiety and an improvement in quality of life. SPARX is based on Cognitive Behavioural Therapy (CBT) which teaches skills to cope with negative thoughts and feelings, including behaviours important in protecting against depression – problem solving, being active, positive cognition, social skills, and relaxation. It is also designed to fit alongside other forms of mental health treatment including face to face therapy, medication, family therapy and working on other issues in the young person’s life, like dealing with bullying, and addressing alcohol or drug abuse. Recording artist Stan Walker is supporting the launch by allowing his latest single ‘Bully’ to be used to get the SPARX message out to young people. The Prime Minister’s Youth Mental Health Project was launched in April 2012 and is investing $62 million over four years in a range of initiatives to improve youth mental health, delivered in schools, online, through communities and health services. The number of jobs advertised online in New Zealand grew by 1.9 per cent in March 2014, following a 1.3 per cent decrease in February, according to the Ministry of Business, Innovation and Employment’s latest Jobs Online report. What’s more – over the past year, vacancies advertised increased by 18.4 per cent, while skilled vacancies increased by 16.5 per cent. The monthly growth is largely driven by a bounce back of skilled vacancies in the healthcare and medical industry. These increased by 4.3 per cent in March, following a fall in February. Skilled vacancies also increased in the sales, retail, marketing and advertising (up 2.0 per cent) and information technology (up 0.9 per cent) industries. The growth for the period is offset by decreases in other industries, with hospitality and tourism experiencing the largest fall of 2.6 per cent. Annual figures however show a different picture for some of these sectors. The biggest yearly growth in skilled vacancies was in hospitality and tourism (up 36.7 per cent) and sales, retail, marketing and advertising (up 21.7 per cent) industries. The healthcare and medical industry (down 4.5 per cent) had the only decrease over the year to March. Regionally, Canterbury (up 3.6 per cent) leads the growth in March, followed by Auckland (up 1.0 per cent). North Island (excluding Auckland and Wellington) experienced the biggest fall of 4.9 per cent. Ministry Labour Market and Business Performance Manager David Paterson says the figures are consistent with the overall performance of the national economy and the labour market. “Despite the monthly fluctuations, we can see a healthy trend in vacancies over the past year, across all regions and most industries,” he says. The upward trend in vacancies over the past year is consistent with the results from the latest Quarterly Survey of Business Opinion. A net 29 per cent of firms found it difficult to find skilled labour, representing a 4.1 percentage point increase over the last year. 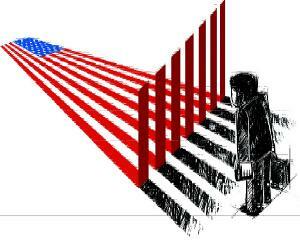 Indians accounted for the most number of applicants selected for permanent residence visa by Immigration New Zealand. As per the outcome of the Expressions of Interest (EOI) scheme announced on 16 April 2014, the most number of EOIs accepted by Immigration New Zealand were from India. Of the 593 EOIs representing 1,155 people that were selected, 27% are from India, followed by China (13%) and the Philippines (11%). A majority (505) of the accepted EOIs had a job offer, indicating the government’s strong preference for allowing migrants who already have a job to go to in New Zealand. The majority (473) of migrants with job offer were onshore applicants – they are already in New Zealand. Applicants scoring more than 140 points are automatically selected for residence. Of the 593 successful applicants, 473 had points in excess of 140, and all of them had a job offer. The EOIs for skilled migrant category is one of the most popular categories of Immigration New Zealand. People cannot directly apply for permanent residence visa for New Zealand. Those who score a minimum of 100 points and are interested in residence visa must first file an Expression of Interest (EOI) either online or in paper form. EOI is a simple process of filling out a form – no documents are required while submitting an EOI form. All EOI applications are processed in New Zealand only. Unfortunately, applicants have no right of appeal if their EOI has been unsuccessful. Those with qualifying points move to the next stage where the immigration authority determines whether the applicants have a strong case for meeting the criteria. Once immigration authority believes that the applicant has a strong case, they are invited to apply (ITA) for residence. This is when the applicants credentials and points will be judged based on evidence presented. An invitation for residence is no indication of the successful outcome of EOI. How long is my EOI valid? The EOI remains in the pool for six months, and if the applicant hasn’t been selected in those six moths, the EOI expires. How do I know if I will get permanent residence in New Zealand? Because of the outcome of your EOI depends on the quality of other applicants in the pool during the six-month period, it is hard to know how many points are required to be selected from the pool. As can be seen from the figures revealed earlier in this article, the most important factor that decides the success of an EOI under skilled migrant category is a valid job offer. The second factor is whether the candidate is already working in a role related to their field in New Zealand. The candidates’ employability is the most critical factor in gaining residency in New Zealand. From 18 April 2014, New Zealand Immigration has stopped accepting physical submission for Working Holiday Schemes. “A change to immigration regulations means that all working holiday scheme (WHSs) applications must be submitted using the online application system,” says a statement issued by the immigration authority. If you are considering applying under a WHS, you should apply using the online system for Working Holiday Scheme for New Zealand. However, for the United Kingdom working holidaymakers who are in New Zealand on a 12-month visa, and want to lodge an application for the balance of the 23 months will be allowed to submit manual application. This second application must be lodged manually. In response to positive momentum in Fiji towards elections by September 2014, the New Zealand Government has lifted the remaining travel sanctions against Fiji. The travel sanctions which applied to named individuals and classes of people (for instance, immediate family of members of the Republic of Fiji Military Forces) have been lifted. “The progress that Fiji is making towards holding free and fair deserves recognition from the Pacific region and international community,” says New Zealand’s foreign affairs minister Murray McCully. Applicants no longer have to complete the supplementary form for Fiji nationals. The suspension of Fiji from the Pacific Access Category has been lifted. However, Fiji nationals will not be able to take part until 2015, as the 2014 scheme has already opened. For the period between May and December 2014, Canada has increased caps of visa applications under skilled workers, trade workers, experienced workers programs. The total cap will be 38000 – which includes 25000 for skilled workers, 5000 for trade, and 8000 for experienced workers. The list of eligible occupations under the skilled workers program has been doubled, from 24 to 50 occupations, reflecting the latest labour market needs. While visa applications caps are usually for one year – 1 May to 30 April, these caps are only for eight months – 1 May to 31 December, in effect increasing the number of total visa applications processed. The caps have been put in place to ensure that the Canadian immigration authority is not left with any backlog of visa applications on 1 January 2015, the day it launches the new Express Entry program. The Express Entry progam, Canada’s new active recruitment model, will lead to a “faster and more flexible economic immigration system” that will address Canada’s economic and labour market needs, says a statement issued by Citizenship and Immigration Canada. “With these measures in place for our key economic programs, our government is ensuring our immigration system is addressing Canada’s economic and labour market needs while reducing backlogs and improving processing times,” Canada’s Citizenship and Immigration Minister Chris Alexander says. Citizenship and Immigration Canada will begin accepting applications under new caps for the Federal Skilled Worker Program (FSWP), Federal Skilled Trades Program (FSTP) and Canadian Experience Class (CEC), starting 1 May 2014. These measures will ensure a steady supply of skilled workers who are settling in Canada permanently and helping to supplement the Canadian workforce in areas where there are skills shortages. These are the last applications that will be accepted under the current system before Express Entry launches in January 2015. The latest FSWP occupation list was developed based on recent labour market data from Employment and Social Development Canada and input from the provinces and territories on regional labour market needs. Canada’s Economic Action Plan 2014 will invest $14 million over two years and $4.7 million per year ongoing to ensure the successful implementation of Express Entry. Determine online your eligibility to apply for Canadian work visa. The full set of Ministerial Instructions will be available in the Canada Gazette on April 26, 2014. A 19-year-old boy from the city has received admission offers from seven top US varsities, most of them Ivy League, after achieving a perfect score in SAT, the standardized examination for admission to American colleges. 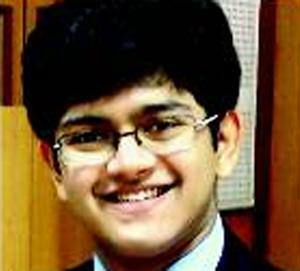 Arunavha Chanda, who appeared for this year’s class XII board examination from Delhi Public School Ruby Park, is so baffled that he can’t make up his mind with just nine days to go before the deadline. 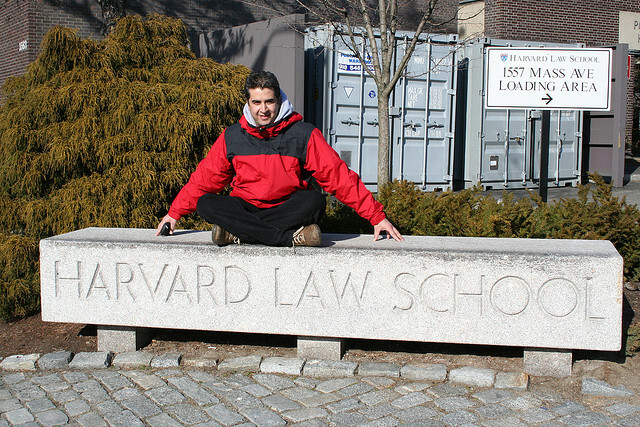 Torn between Harvard, Stanford and Columbia University, Arunavha wishes he could study at all three. “Time is ticking but I haven’t been able to decide yet because it may turn out to be the most crucial decision of my life,” he told TOI. A snapshot of resident non-immigrant population in the US released by the Department of Homeland Security in February this year shows that Indians, more than Mexicans or Chinese or any other nationality, constituted the largest resident non-immigrants in the US – a category that excludes tourists, business travelers, and permanent residents, but includes temporary guest workers (such as those on H1B visas) and students. The report reveals that the resident non-immigrant population in the US averaged 1.9 million during July 1, 2011–June 30, 2012. Temporary workers and their families accounted for approximately 45% (840,000) of the population, and students and their families accounted for another 40% (720,000). Of the temporary worker and family category, a whopping 38% (430,000) were from India, compared to only 210,000 from China, and 140,000 from South Korea, the next highest worker-flow countries. Mexico, which accounts for a large number of illegal migratory workers coming into US, had only 100,000 resident non-immigrants. New Zealand-based senior executives and business owners keen to gain international exposure can expect to get government funding through the 2014 Prime Minister’s Business Scholarships. The recipients of last year’s 10 scholarships studied at prestigious international institutions such as Stanford, INSEAD (The Business School For The World), Harvard, and the London Business School. The scholarships are designed to grow skills and business capability to make New Zealand firms more internationally competitive, says Economic Development Minister Steven Joyce. “The knowledge gained from the world’s top business schools by our senior executives will benefit the companies they return to and in turn, help to grow the New Zealand economy and jobs,” Steven says. “Our distance from overseas markets and the size of our economy can be a challenge to firms wanting to enter international markets. The scholarships help to develop the global mindset of our business leaders. “Many of our smaller companies can have difficulty when expanding into overseas markets because they lack the knowledge or contacts. Applications for Asia-Pacific learning institutions are given preference. This region offers the most potential for New Zealand to increase exports and build networks and distribution channels. The scholarships cover up to 50 per cent of course-related costs. Applications for the scholarships close on 30 April. For more information, visit the ministry’s website. other costs such as textbooks. returning to their business after the course. Now, skilled professionals keen to migrate to Canada can jump the queue for becoming permanent residents, if they have a valid job offer. They can even have their residency application processed in less than six months. Under the new ‘Express Entry’ scheme to become effective January 2015, the Canada Immigration department will who receive a valid job offer or nomination under the Provincial Nominee Program (PNP) will “quickly” invite people with job offer to apply for permanent residency. “Express Entry” is not to be confused with the Temporary Foreign Worker Program, which is only used to fill temporary skill shortages. Candidates with a job offer or nomination under the Provincial Nominee Program (PNP) are eligible under the “Express Entry” category which is designed to deal with regional labour shortages, and help fill open jobs for which there are no available Canadian workers. Described as the “game changer” by the country’s immigration minister, “Express Entry” replaces the now-scrapped Formerly referred to as “Expression of Interest” category, and will be open to skilled immigrants. It will allow the Canadian government to “select the best candidates who are most likely to succeed in Canada, rather than those who happen to be first in line,” says a statement issued by Citizenship and Immigration Canada (CIC – the immigration department of Canada). Visa applicants can expect faster processing times of six months or less when invited to come to Canada in four key economic streams: the Federal Skilled Worker Program, Federal Skilled Trades Program, Canadian Experience Class, and a portion of the PNP. More importantly, employers will have a key role in selecting economic immigrants and providing advice to the Government of Canada. Canada’s Citizenship and Immigration Minister Chris Alexander says that over the course of spring 2014, CIC will work with provincial and territorial governments to hold a series of cross-Canada information sessions to provide employers with more information about this exciting new system. Express Entry promises to be a game-changer for Canadian immigration and Canada’s economy, says Chris. Canada’s Economic Action Plan 2014 will invest $14 million over two years and $4.7 million per year ongoing to ensuring the successful implementation of Express Entry. With Express Entry, Canada will be able to select the best candidates who are most likely to achieve success in Canada, rather than the first person in line. The Government of Canada’s new and improved Job Bank will help facilitate matches between Canadian employers and Express Entry candidates. Having a valid job offer or provincial/territorial nomination will guarantee Express Entry candidates an invitation to apply for permanent residence.